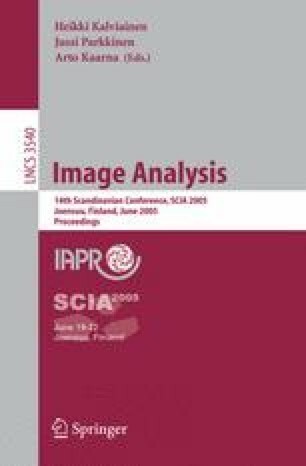 This paper generalizes the interactive method for region segmentation of grayscale images based on graph cuts by Boykov & Jolly (ICCV 2001) to colour and textured images. The main contribution lies in incorporating new functions handling colour and texture information into the graph representing an image, since the previous method works for grayscale images only. The suggested method is semi-automatic since the user provides additional constraints, i.e. s(he) establishes some seeds for foreground and background pixels. The method is steerable by a user since the change in the segmentation due to adding or removing seeds requires little computational effort and hence the evolution of the segmentation can easily be controlled by the user. The foreground and background regions may consist of several isolated parts. The results are presented on some images from the Berkeley database. This work was supported by the Austrian Science Foundation (FWF) under grant SESAME (P17189-N04), and the European Union Network of Excellence MUSCLE (FP6-507752).